Outdoor activities offer great party game ideas. Outdoor party games are fun for both kids and adults, as guests get some sunshine and a chance to let loose from their regular daily routine. The phrase "outdoor party games" may bring to mind children clumsily swatting at a piñata with a plastic bat, or awkward groups of adults attempting a three-legged race. However, outdoor activities have made a comeback in a modern way, and are now again popular with both children and grown-ups. Burn off the excess energy of your young guests with some outdoor activities sure to please. If you have a swimming pool or are able to throw your party where one is available, then Keep It Dry is an ideal game for young attendees. All you need is a cotton ball, marshmallow, stone or cracker. If you don't have any of these available to you, simply find an object or two that change appearance and/or consistency if they get wet. After you have your objects, divide kids into teams, and organize them into a relay race format. To win the game, the entire team must swim across the length of the pool (or width, if your swimmers are very young), and keep the object dry. Whichever team has the driest, most unaltered item at the end of the race wins. You can also let every child compete individually, giving them each their own item and awarding individual prizes. If you choose this game, make sure you ask all kids to bring their suits when you hand out the invitations - no one wants to be left out of a game because they didn't receive proper information. Low budget to set up, and hilarious for photographs, the balloon stomp can be played with children of any age. Have a child blow up a colored balloon (young children may need help with this), and tie it to his or her ankle with a piece of string. Give a starting signal, and watch as the kids try to stomp on each others' balloons and pop them. The party guest with the last remaining balloon is the winner. Try to give each child a different colored balloon so the balloons are easy to tell apart as kids go running in frantic beehives to stomp and pop. When it comes to outdoor party games, grown-ups can get in on the action too. A little sunshine and fresh air in the lungs, and you and your friends will feel like kids again! Scavenger hunts are fun outdoors, and they can be even more exciting once the players are old enough to have cars and driver's licenses. Make your hunt challenging and mysterious with clues that involve brain teasers, mind benders and - if your group is tight-knit - inside jokes galore. Turn your scavenger hunt into a "Polaroid car rally", where each team is required to take a photo of a list of objects found all throughout town, or in your backyard if you're able to create an environment challenging and intricate enough. Polaroid film is tough to find, so don't be afraid to veer away from this hunt's title a bit, and simply use a digital camera with a large enough memory card. Outdoor games can be something as simple as an organized sporting event when it comes to adults. 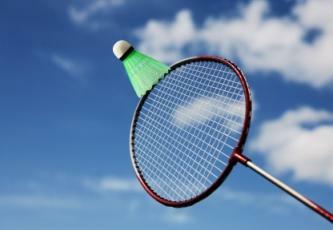 On a nice spring day, bring out the badminton set or horseshoes for some old-fashioned fun. In the summer, host a BBQ at the neighborhood pool and play a game of rowdy inner tube water polo - same rules as regular water polo apply, only it all must be done from inside inner tubes or other pool float toys. This hilarious game involves plenty of laughing and splashing - trash talking and dunking optional. Regain your love of the outdoors with your family and best friends next time the weather's warm; there's no better way to burn those extra calories caused by the outdoor buffet.